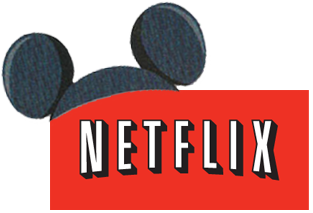 Disney Signs Exclusive Deal With Netflix!!! Netflix still seems to be alive and well, despite their enormous price hike and falling shares. 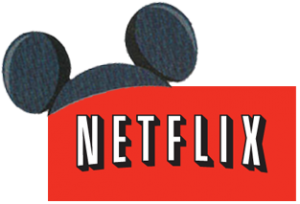 Disney announced yesterday that it had inked a deal with Netflix to show films from it’s studios including Disney, Pixar, and Marvel. This seems like a bigger deal than the arrangement Netflix once had with Starz. This marks the first time that one of the big players in the film industry has gone exclusively to an online streaming platform rather than pay cable. Smaller companies like the Weinstein Company and DreamWorks animation have gone the streaming route, but the major studios like Paramount, Warner Bros, Universal, and Sony have all inked deals with HBO and Showtime, and have not offered their content to the online community streaming community. Well Disney changed all that, and I’m curious to see if other will follow. So what’s available now? A lot of Disney’s archive titles like ‘Pocahontas‘, ‘Alice in Wonderland‘, and ‘Dumbo‘ will be available immediately, with all their new releases becoming available in 2016, which yes, is a long time from now. This Disney deal also includes the direct-to-dvd titles. Think about it, now that Disney owns Star Wars, the new Star Wars film will be on Netflix streaming. I’m willing to bet a few more studios go this route as well and we might see the end of cable sooner than later. This entry was posted on Wednesday, December 5th, 2012 at 9:43 am	and is filed under Film, News. You can follow any responses to this entry through the RSS 2.0 feed. You can skip to the end and leave a response. Pinging is currently not allowed. « Seth MacFarlane’s Next Project Will Be A Western Comedy!! !